A few weeks ago, my motorbike – known affectionately to me as ‘Stavros’ – turned 9½ years old. In that time it’s clocked up way over 140,000km and taken me all over Vietnam. Stavros has endured the traffic-clogged, exhaust-choked streets of Saigon’s rush hour; stood up to the driving rain, gale-force winds, and biblical lightning of monsoon season storms on the central coast; survived the mud-filled mountain roads and landslides of the extreme northern highlands; suffered the potholes and red dirt roads of my many ill-conceived ‘short-cuts’ in the Central Highlands; and withstood the oppressive heat and humidity of the Mekong Delta. 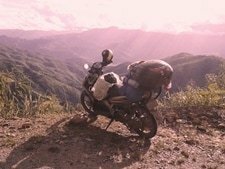 More importantly, it’s taken me to some sublime places, most of which I would never have seen or even known existed, were it not for the independence and freedom that my motorbike has given me in Vietnam. Stavros is a gold-painted, 115cc, 2007 edition, Yamaha Nouvo, and I love it. I bought my motorbike brand new in Saigon’s Chinatown (Chợ Lớn) for a cool 30 million Vietnam Đồng (yes, that’s 30,000,000!). In 2007, that was equivalent to about $2000, making it the single, most expensive item I’d ever purchased. At that time, my Vietnamese bank only allowed customers to withdraw 2,000,000VNĐ per time from their cash machines, and the highest denomination note was 100,000VNĐ. This meant I had to insert my bank card 15 times to reach the total cost of my motorbike, and, by the time I’d finished – after exhausting the supply of two ATMs – I had 300 notes stuffed into my pockets: it was a nervous walk from the cash machine to the motorbike shop. Back in 2007, my motorbike was new, shiny, gold, and a coveted model in Vietnam. I called it ‘Stavros’ because it had a masculine, macho arrogance about it – I imagined Stavros as a self-confident (perhaps self-deluded), tanned Mediterranean man, who thought of himself as a bit of a ladies’ man, and who wore his shirt unbuttoned to reveal a hairy chest and a gold medallion. Now, however, Stavros has reached middle age and signs of wear and tear are starting to show. The plastic lamination, which I covered the entire body with when I bought the motorbike to protect it from scratches, is now blistering and flaking off, making it look as though Stavros has a rare skin disease. Various pipes on the underbody have turned a rust-brown and the square, Transformer-esque body looks boxy and heavy compared to the sleek and slender designs that are available today. But, I don’t care about any of this. In fact, the more worn and used Stavros looks, the more unyielding and tougher he seems to me. I’m suspicious of bikers whose motorbikes always look pristine and virginal, as if they’re fresh off the showroom floor: where’s the evidence of all the epic journeys it’s made, all the road it’s eaten, the weather it’s endured? It’d be like seeing a rugby team at the end of 80 minutes play with all their shirts still as crisp, white and unblemished as when they were fresh from the laundry. 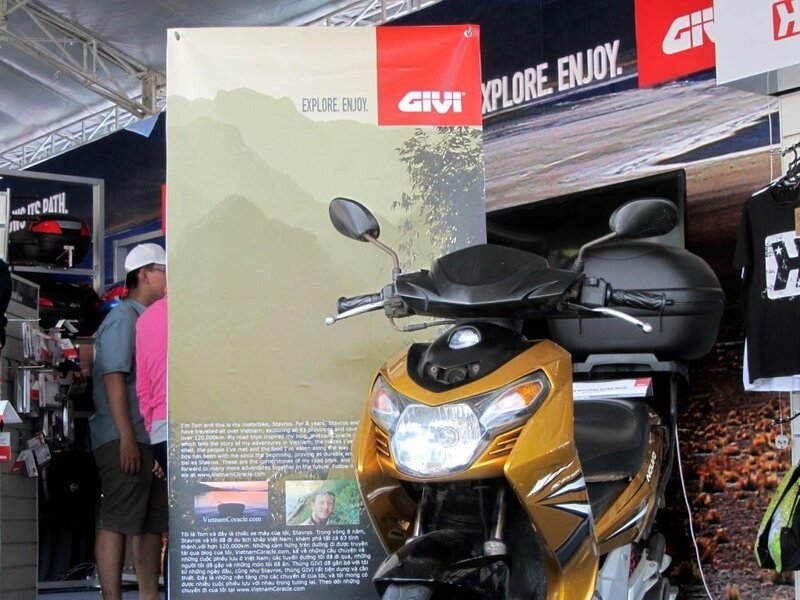 In fact, despite his ‘unshaven’ appearance, Stavros made it onto the GIVI display stall at the 2015 Vietnam Motorbike Festival in Saigon. I bumped into someone I know on Highway 1 during last year’s Tet (Lunar New Year) holiday. He pulled up alongside me on his big white motorcycle and couldn’t help but laugh at the state of my mud-caked, flaky-skinned Yamaha Nouvo. But Stavros is thick-skinned (well, metaphorically at least) and he can take this teasing because he’s been up and down, side to side, round and round the country dozens of times, and he’s still purring away, eager to do it all over again. Stavros has matured, grown into himself: when young he was overly concerned with outward appearances and what other people thought of him; now, he realizes, what really counts is what’s on the inside; the engine, and Stavros has proven his to be robust, strong and determined. Indeed, based on the similar models available on the market in Vietnam today, I think, if Stavros was to break down and die tomorrow, I’d simply go out and buy another Yamaha Nouvo, not one of the new versions – which look so delicate and precious that they’d blow over in a gust of wind – but exactly the same ‘old’ model as Stavros. However, I hope that day won’t come any time soon: Here’s to another 100,000km around Vietnam with Stavros! 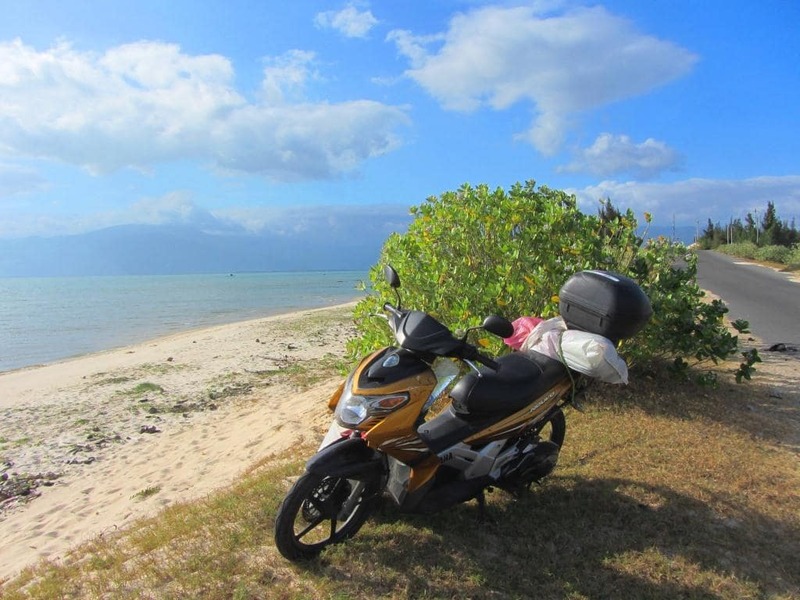 This entry was posted in ALL, MOTORBIKE GUIDES, Resources and tagged best, motorbike, Nouvo, review, Vietnam, Yamaha. Bookmark the permalink. Cheers for the amazing blog mate! Really enjoying reading through it. Quick question. Me and my girlfriend are in the process of purchasing a bike. A nouvo. So we wanna travel from Saigon to Hanoi. Secondly we have loads of time to do the trip. Alright so, do you think it’s doable on this one bike? Both of us and one big backpack? Yes, it’s doable on that bike, as long as it’s in good condition. Personally, I would recommend renting over buying, because the rental bikes are almost always in better condition that the ones you buy. For more details about this check out this post. Thank you so much. I’ll have a look at the post. Appreciate it! Hi Tom! Love your website – so glad I was directed here by a friend. 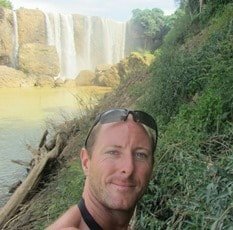 My fiance and I are wanting to do a month-long motorbike tour, renting from one of the companies you suggested. Neither of us know anything about motorbikes, though! Any models you’d suggest for us? I drive a manual car, but neither of us has ever driven a bike. We also haven’t decided whether we should both ride on one or each rent our own bike. We’ve got a 6’3″ 250 pounder and a 5’6″ 125 pounder on our hands, if that matters! Automatic motorbikes, like mine, are the easiest to learn how to ride, because there’s no changing gears, no clutch etc. However, if you’re used to driving a manual car it wouldn’t take long for you to get to grips with riding a manual motorbike, like a Honda Wave, for example. But with automatics there’s definitely less to think about. I would recommend renting a motorbike each for comfort and for safety. If you have no riding experience it can be difficult to get used to the weight distribution when you have a pillion. Also, riding long distances in hot and humid weather is not so comfortable with a passenger behind you. 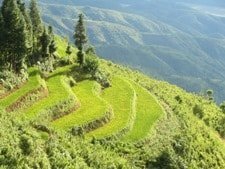 Amazing blog, used it a lot traveling from Saigon to Hanoi and going to follow some of your routes in north vietnam ! I’m riding the same nouvo bike as you, little older, mine is from 2006, had some maintenance to do on the way but there is something I have difficulties to get rid of. The transmission is making quite a lot of noise, especially when driving aroud 50/60kmh, mechanics do not seem to want to work on that problem. Seem to be quite a common issue on these bikes, still I would love to get it sorted out, any advice on that ? 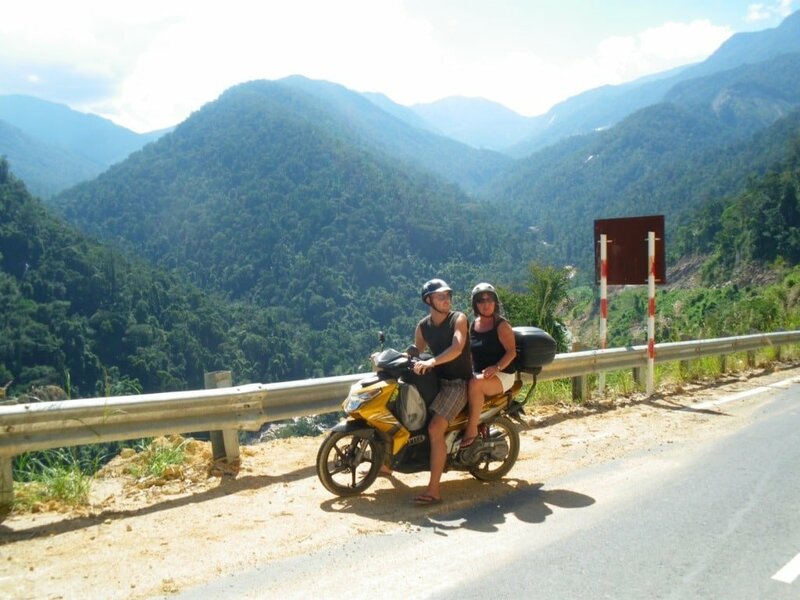 Great to hear you’ve enjoyed riding through Vietnam. Yes, that does happen on Nouvos. If you’re in Saigon, try to take it to Yamaha Town on Nguyen Van Troi Street, not far from the airport – they’re the only ‘real’ Yamaha garage in town and can be trusted to deal with your bike’s issues responsibly. I’m in the north now. I went to what seems original Yamaha garage, they where able to fix the strange behaviour i had since yesterday : engine cutting of when going up the throttle. Also asked them to check clutch and transmission but they told me the parts do not exist anymore (at least what I got from google translate), can that be true ? I think they probably just didn’t have the parts at that particular garage. That model of the Nouvo is relatively old now, so perhaps they just don’t stock as many spare parts for it than they used to do. I was wondering if you’d think that one of the newer Honda cubs would be alright to make a journey from Saigon to Dalat and back? I’m looking to buy one and keep it there with a friend as i do visit the place quite often and it’ll make sense financially instead of renting. Your website is indeed a labor of love! 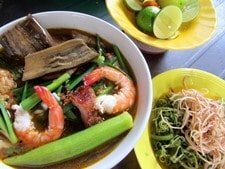 I came to Vietnam for the first time in 2008 and have been trying to come every two years since. 2016 here I come:-) I did something that looks like the North Eastern loop over 10 days on a Honda Wave and have the most unique memories from that trip. I was advised to try a Yamaha YBR 125cc this time, for comfort, but seeing your postings and great photos I am reconsidering “just” getting a Yamaha Nouevo or Honda Future. Is it pretty easy to get a custom top case rack like you have on the back of Stavros? It looks way more solid then what I have seen so far. 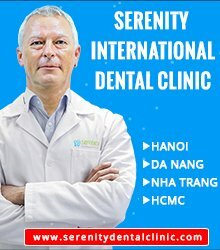 (I’ll be between Hanoi & Hoi Ann). Personally, I think a Yamaha Nouvo is comfortable and strong enough to handle the vast majority of road riding in Vietnam (off-road is different, obviously). Lots of people just prefer the look of large motorcycles, and the driving experience (the idea being that an automatic is just too easy). My rack is from GIVI. They have a store in Saigon. There are boxes of all sizes. But it depends how much you’re going to load it up – if you have a lot of weight, you’ll need the reinforced rack (which I’ve got). Contact GIVI Vietnam (you can mention Vietnam Coracle, they know me) before you travel and see what they can do for you. Hi there! We love your blog, it’s providing us with so much valuable info. Question: we just purchased two second hand Yamaha Nouvos, like yours. They are automatic transmission. The receptionist here at our hostel has said to us that these bikes will not get us up the steep gradient to Dalat. Is this true? From your blog it looks as though you have an automatic Nouvo and it has taken you basically everywhere (although you bought yours brand new). We’re thinking that all we need is a little faith…what do you think? Yes, your Nouvos will definitely be able to make it up to Dalat, and far beyond (unless, of course, they are in absolutely horrible condition). Nouvos are excellent road bikes – everything single place listed on my website I’ve got there on my Nouvo. 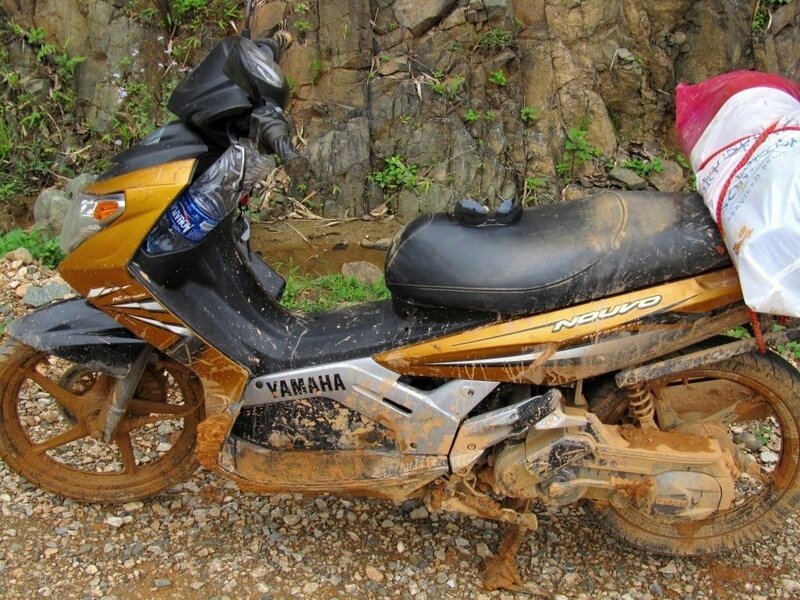 However, they are not so good when it comes to off-road, but that is rarely a concern for most bikers in Vietnam. I’d follow your trips…impression & intresting, your most favorite photo is on the “Starvos” with your Mom in HonGiao pass. Wish you good health to continue the journey meaningful! 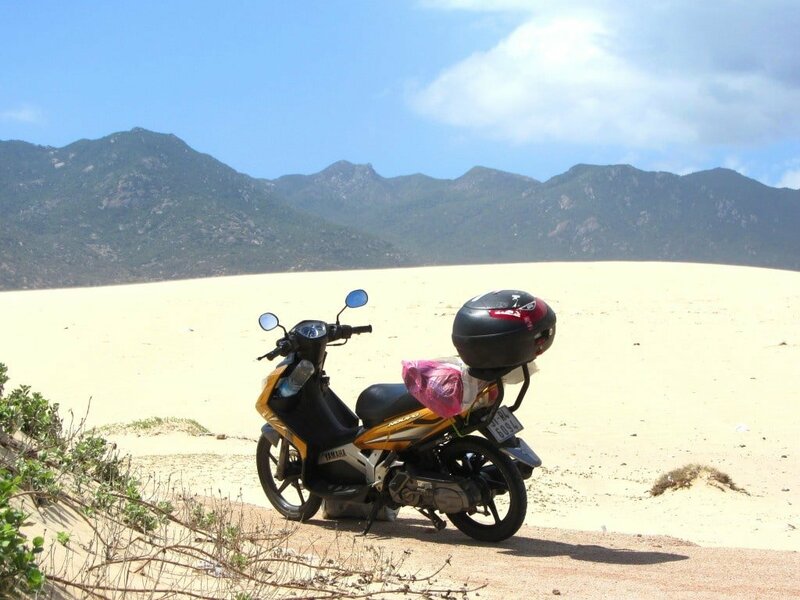 On December I had planned to tour the survey bow-Dalat-Nha Trang route SGN-Qui-Nhon-QuangNgai-HoiAn by Vespa. 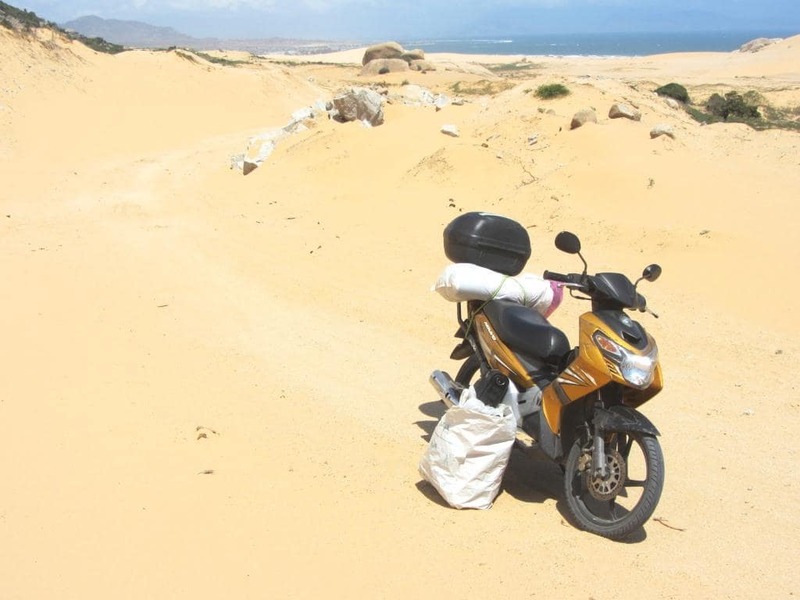 All along the road from Nha Trang-Hoi An is the coastal road away from highway 1. 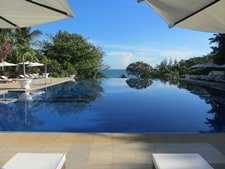 You still have to go on Highway 1 from Ninh Hoa to Van Gia, and from Chi Thanh to Quy Nhon. But all the rest of the route can be done of coastal back-roads.